Bonnie Fishburn’s Blog: It’s a juggling act! Summer is flying by, and doesn’t Bonnie Fishburn know it?! In addition to a busy yard and eventing calendar to run, she’s also coming up fast on her own wedding in September. 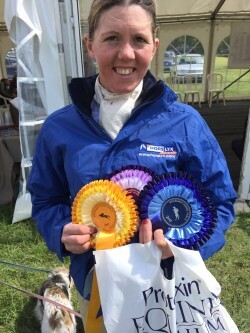 It’s fair to say we were just as exhausted as she is, having caught up with her for the latest blog! “Then the next outing was for the big man, Frankie. 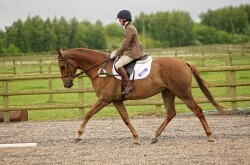 He went to Southview for a Combined Training, with Novice 27 and 1m jumping. 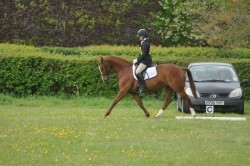 He was a lovely boy and led from start to finish with a 69.6% dressage and clear sj. 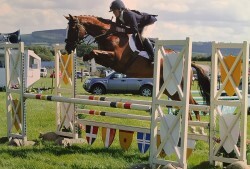 He was rather excited to be jumping but that’s expected after nearly a year since jumping competitively.